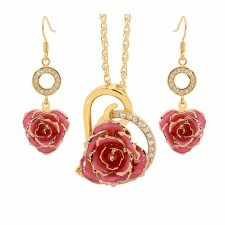 The most beautiful matching gift set which includes a gorgeous pink glazed rose, with a stylish pendant and drop earrings formed from real pink rose petals trimmed with 24K gold. 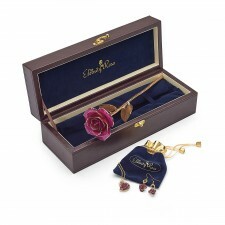 The most beautiful matching gift set which includes a gorgeous purple glazed rose, with a stylish pendant and drop earrings formed from real purple rose petals trimmed with 24K gold. 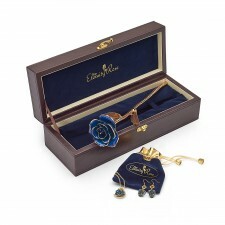 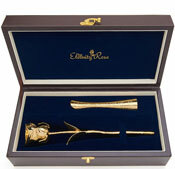 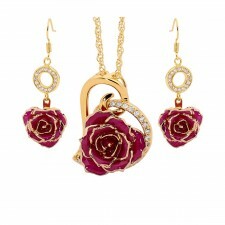 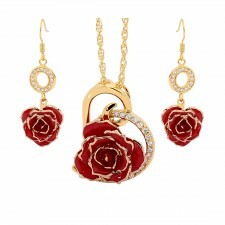 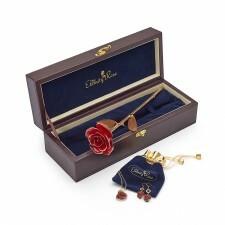 The most beautiful matching gift set which includes a gorgeous red glazed rose, with a stylish pendant and drop earrings formed from real red rose petals trimmed with 24K gold. 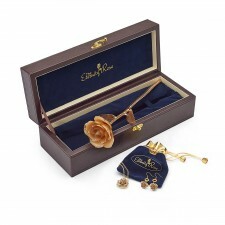 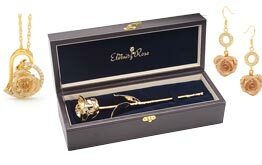 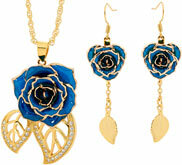 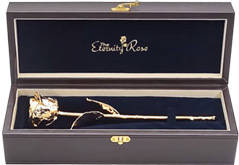 The most beautiful matching gift set which includes a gorgeous white glazed rose, with a stylish pendant and drop earrings formed from real white rose petals trimmed with 24K gold.